Is the paranoia around H1N1 justified? – A look at some factoids & information resources. Statistically speaking (based on a simple extrapolation that India’s population is approx 1/5 of World Population) that translates to 200 M cases, 600,000 – 1 M severe cases, and 60,000 – 100,000 deaths. 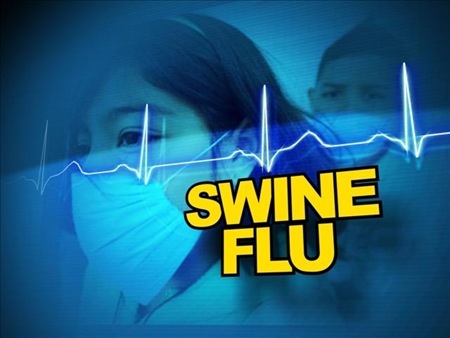 In June 2009, the World Health Organization declared the new strain of swine-origin H1N1 as a pandemic. This strain is often called swine flu by the public media. This novel virus spread worldwide and had caused about 17,000 deaths by the start of 2010. On August 10, 2010, the World Health Organization declared the H1N1 influenza pandemic over, saying worldwide flu activity had returned to typical seasonal patterns…..
Hello, I have read your article its very usefull and informative. Special thanks to U, also good content based on swine flu, which is the most current fear, everyone in minds. I really like this Article and also request to u that please keep it up…. I totally agree with you on the fact that issue is blown out of proportion. As mentioned in the comments already, may be we can ride this wave and target for more hygienic and clean cities. But I think why institutes such as NIV (National Institute of Virology) and WHO are worried about H1N1 is because of its unpredictable nature. The virus is capable of rapid transformation (mutation), which is the root cause of worries. It can go either way, it might transform into completely harmless (to human) or mighty dangerous. In the history we have seen that H1N1 has caused massacre during WWI, so did H2N2 during late fifties. Hence WHO is trying to keep a tab on spread. Imagine what will happy over time as people are breathing in this dirt into their lungs day after days? Awesome stats! Good research & analysis, Arun. This is like an eye opener. besides realizing the controversial point of whether “are we blowing it out of proportion?” what’s more shocking is that, a common disease like influenza has reached such high fatalities around the world, yet the governments of the developing world doesn’t seem to realize it. Good point. I think this is a good opportunity (when the entire population is focussed on it…) for a comprehensive media campaign by the Govt/NGOs/Others regarding basic hygiene and cleanliness. millions die of influenza / complications of common cold every year. has anyone compiled that info or done anything about it? basic hygiene is something we dont understand. throwing our garbage everywhere, eating roadside food, not washing hands and fruits/vegetables before eating, not cooking meat products well before eating. these are basic things to be done. why doesnt the govt take the responsibility now and go on a advertising blitz? A plague forced Surat to be the cleanest city in India. Maybe this H1N1 will force India to clean up its act.